I hope everyone is having a lovely weekend? And those in the UK have had a warm and safe Bonfire Night. Anyway, today I have a tag to share. 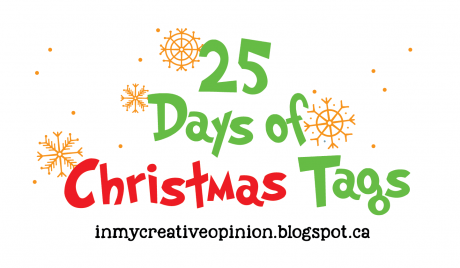 I thought it was about time I got myself organised and actually join in on Tracey McNeeley’s 25 Days Of Christmas Tags event AND not just as a sponsor! 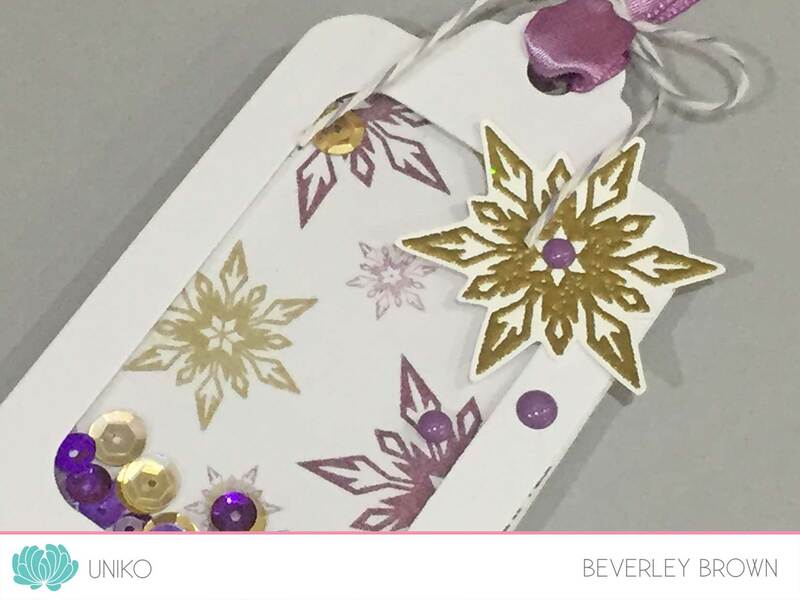 My inspiration for this tag came from Jo Nevill’s tag HERE on Day 1 of the event. 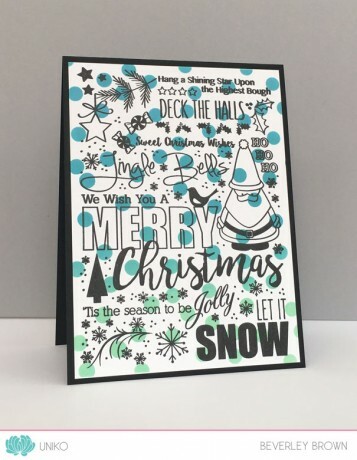 As soon as I saw Jo’s card I instantly thought of the NEW Background Builders: Christmas 2018 clear stamp set. 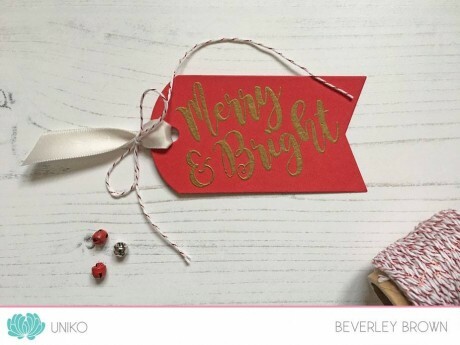 Plus I do love this colour combo red, kraft and white. Along with using Background Builders: Christmas 2018 on the kraft die cut tag (Papertrey Ink), I used the smallest snowflake die from the Designer Die Snowflake Trio, the solid flower stamped in red is from Flower Power #1 and the sentiment from Simply Said Blocks Christmas. 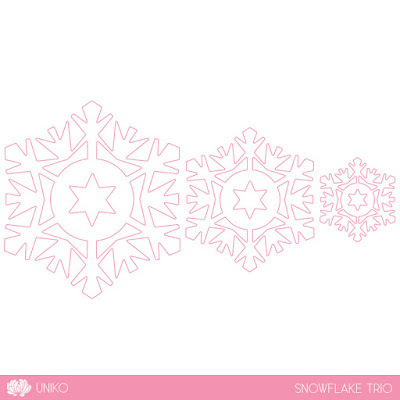 It’s hard to see in the photo, but I added clear Wink of Stella to the snowflake for a little bit of sparkle. 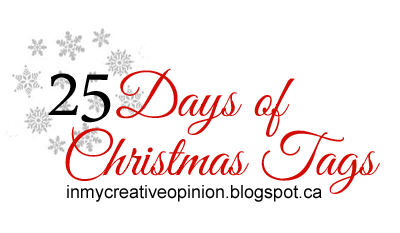 The 3 black dots in the flower centre were added using a fine liner to make the flower resemble a poinsettia. 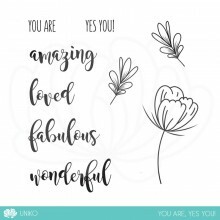 That’s all I have to share with you today, but I hope to be back tomorrow with more and I hope I have inspired you a little to join in on this fun event?! Here at Uniko we are kicking off the Festive Season with a feature in the NEW January issue of Craft Stamper Magazine! 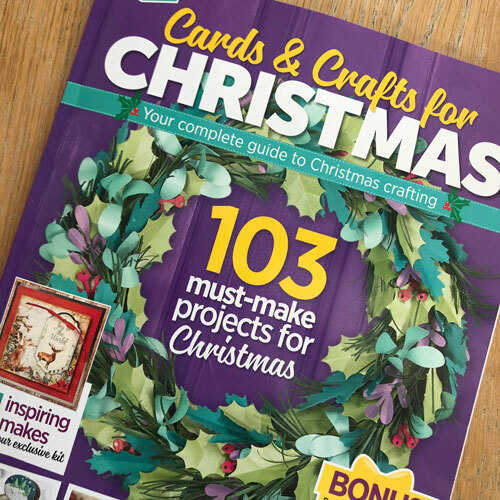 Have you got your copy yet?! 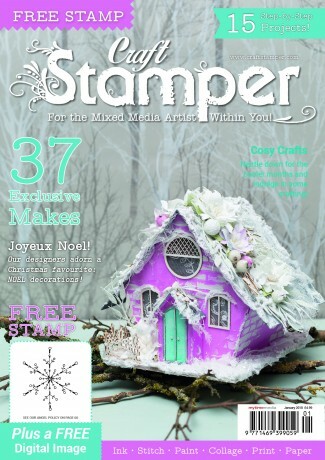 The January issue of Craft Stamper magazine went on sale yesterday. I’m still awaiting my copy to come through the post However, I know you won’t be disappointed in the issue or the Uniko feature! 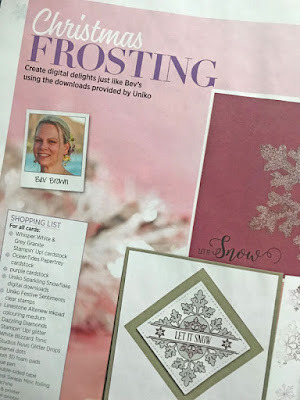 For the feature this time I have teamed up with a couple of the Craft Stamper Designers and we each used Uniko’s Stunning Snowflakes clear stamp set to make a couple of mixed media projects. 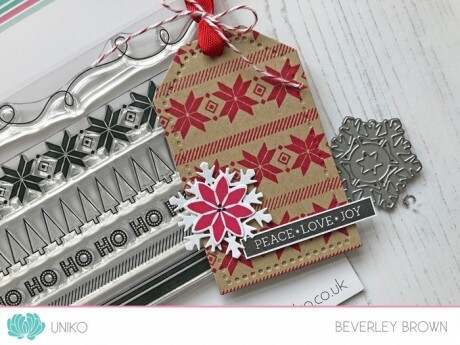 I’ve already had a peek at one of the Designers projects and it is so fun to see how others think to use the stamps! 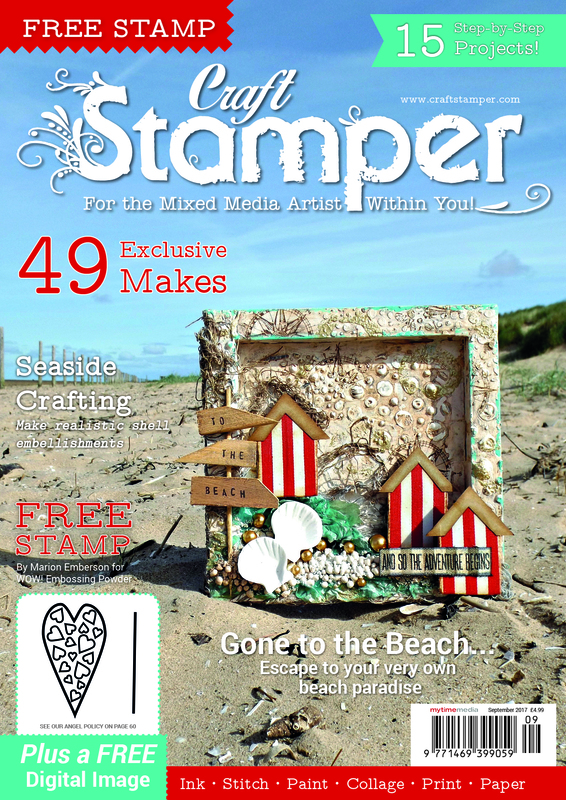 If you would like to get a copy of the magazine, here’s some of the places you can get the magazine from December 1st 2017. www.craftstamper.com to buy subscriptions, www.mags-uk.com for single print copies, digital copies from www.pocketmags.co.uk Overseas subscriptions are available too! Usually I choose a product that was released the previous year or a once favourite that hasn’t seen much air time! 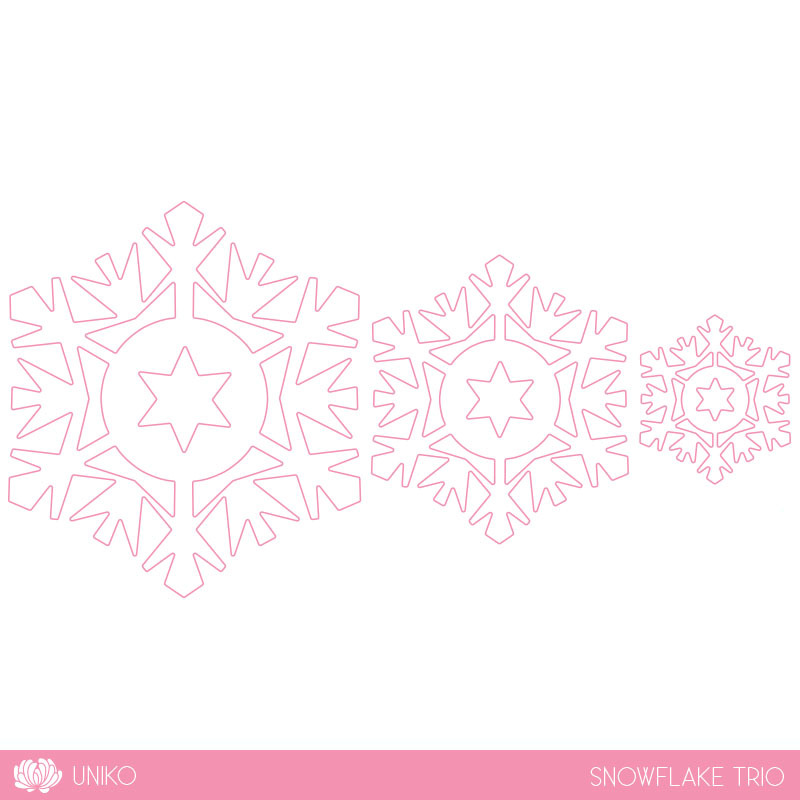 This month however, I decided to look back at a few products Uniko released in October 2017 HERE. 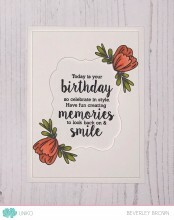 So, I have a little trio of cards to share with you today using some of these products. I was hoping to have more than three projects, but my plans were foiled yesterday by a poorly bean with a high temp, which consequently meant no nursery and no free time for this mummy! 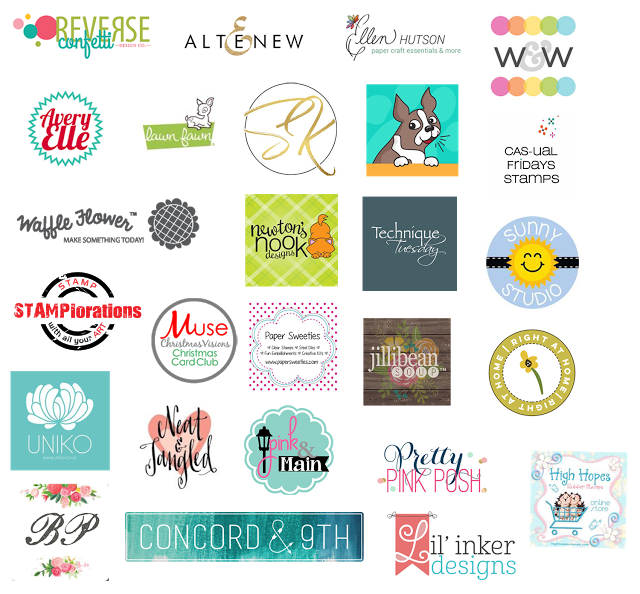 Hopefully what I do have to share will inspire you?! 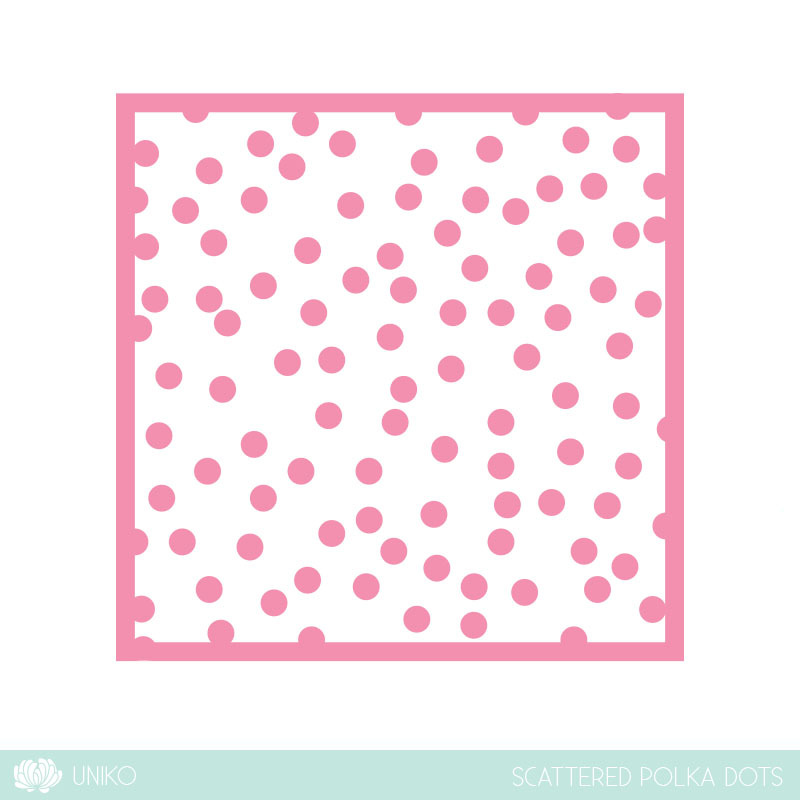 For this card I was inspired by this weeks Freshly Made Sketches sketch seen HERE and below. 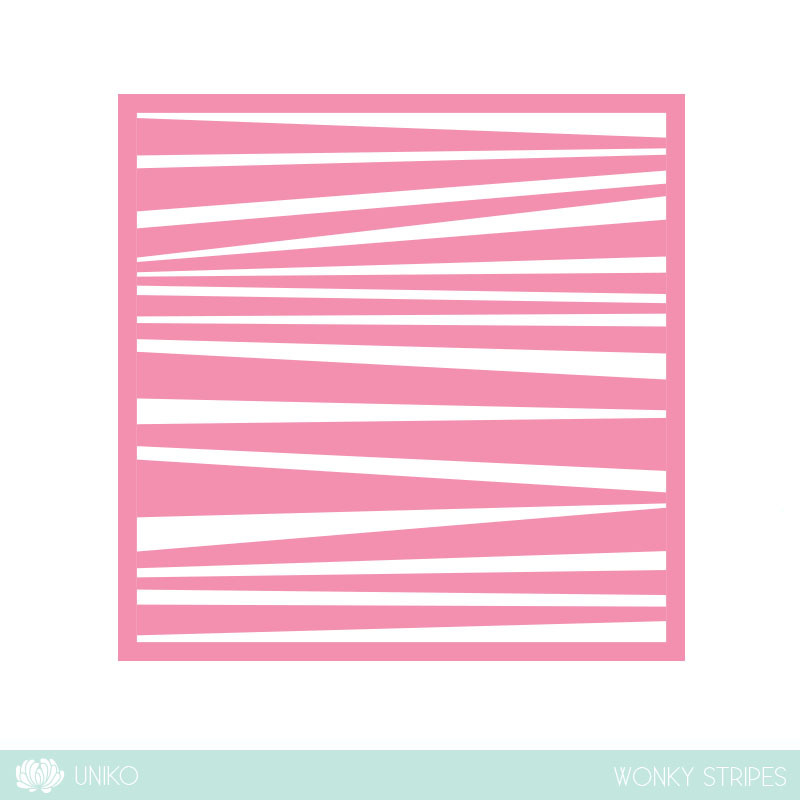 The angled section on the sketch made me instantly think of the Wonky Stripes stencil. 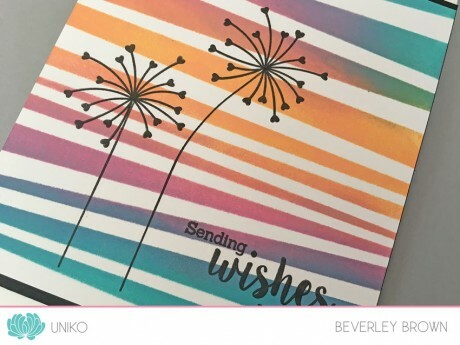 I reached for my newest Altenew Shades Of Purple inks and masked off a section of the stencil before pouncing the ink onto my card base from lightest to darkest to match the lower left angled section of the sketch. 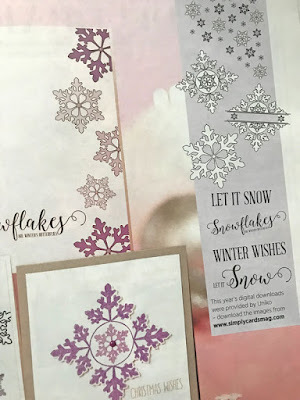 The snowflake is the medium size of the trio and after die cutting from white card I then applied Lavender Fields ink and then applied a sparkly covering of Stampin’ Up! glitter 😉 The sentiment is from Simply Said II. Firstly I decided to reach for Flower Power #4 one of the flowers I tend to neglect I decided to create a cascade effect of all the elements contained in the set, reaching for my trusty colour combination to inspire me. With it being the season of thanks I used a sentiment from Flower Power #3. 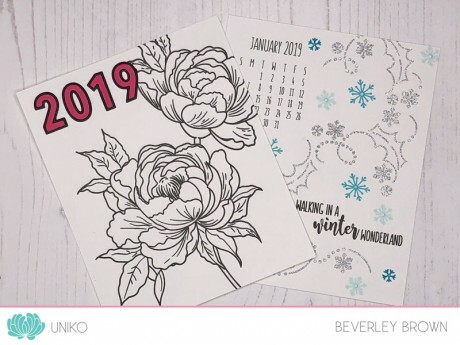 All the stamps in this series are designed to coordinate and mix and match with one another to help stretch your supplies and provide you with more creative options. 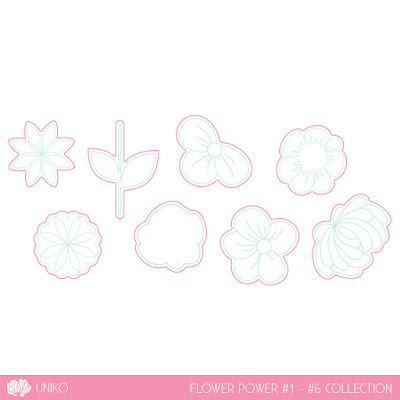 Lastly, I reached for one of my favourites, Flower Power #2. 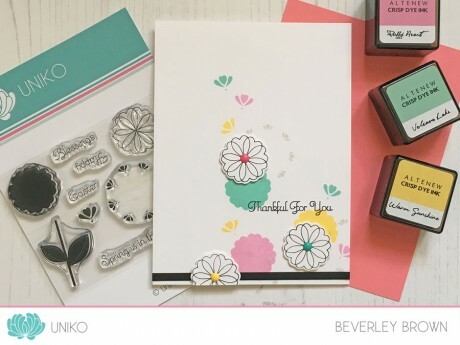 This flower is inspired by Cherry Blossom and as I have been designing Spring themed clear stamps in the studio I was inspired to use this flower. 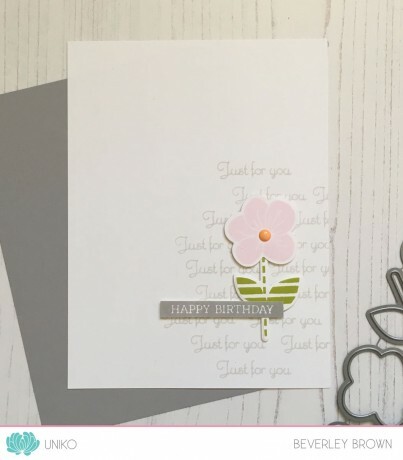 I stamped a subtle background using the ‘Just For You’ sentiment and layered my stamped and die cut flower over the top adhering with foam adhesive. 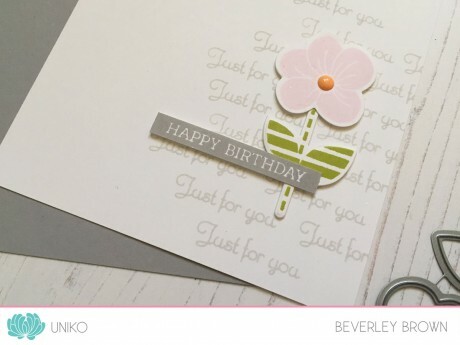 I then decided to pair the ‘Happy Birthday’ from Simply Said Blocks. That’s all I have to share with you today, but I know the Design Team have a wealth of inspiration to share with you, prepare to be WOWED! Be sure to comment along the hop for your chance to win ALL the products being revisited. You have until Midnight (GMT) Saturday 18th November to comment and the winner will be announced Sunday 19th November 2017. I can’t believe how quickly these days, weeks and months are passing by! 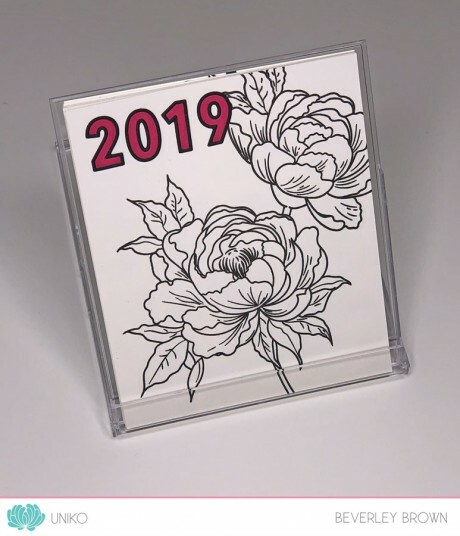 My apologies for my lack in creativity and inspiration these past couple of weeks, it took me a little to catch up on everything post Stamping Shows and October Release! Plus last week the beans were on half term from nursery and I spent some quality time with them and we had some fun muddy adventures In the short space of time they have been going to nursery, I had forgotten how little time and energy have, once they are in bed! Lol! 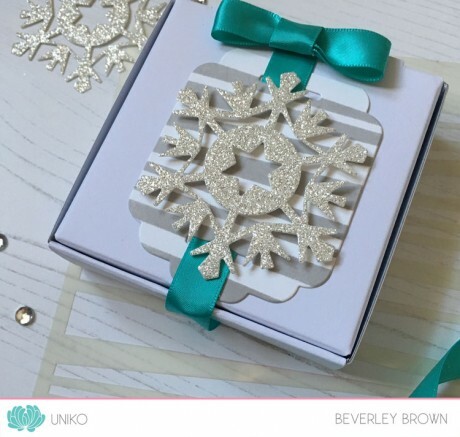 I love angled panels and this is a card layout I have used a few times over the years and funnily one that I’ve used for a few previous Christmas designs! I couldn’t resist using the layout to show off the Background Blocks: Falling Snowflakes, stamped and heat embossed in white onto Stampin’ Up! Old Olive card. 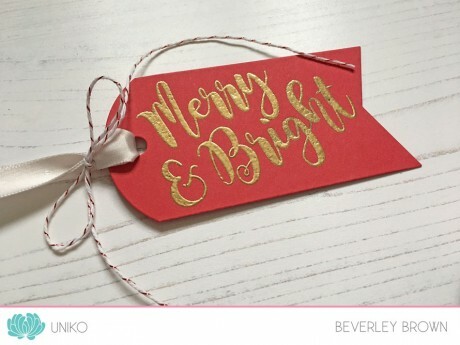 The sentiment from Festive Sentiments is stamped in matching Old Olive ink and I have used my MISTI tool to then stamp the ‘Christmas’ in VersaMark ink to be able to heat emboss with Crystal EP. 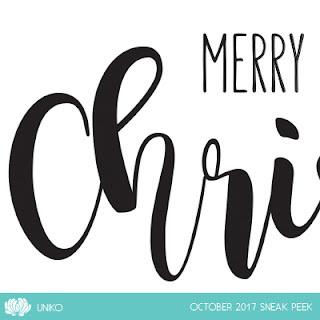 This was so quick and fun to make, that I can see myself using this design as a mass produceable one for this years Christmas cards! 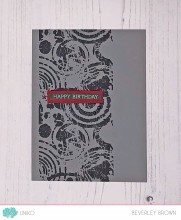 The sentiment is simply heat embossed with Cosmic Shimmer Detail True White EP onto a stitched square die cut. 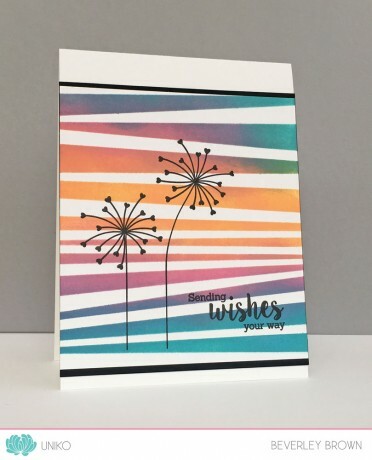 After adhering the sentiment panel to the card base using half thickness foam adhesive I then got to splattering the card with my Gansai Tambi Starry Watercolours. 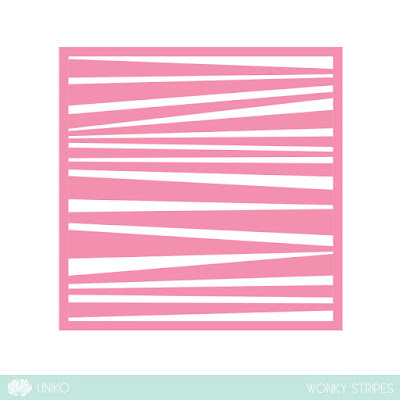 It might be Monday, but it is a HAPPY Monday here at Uniko HQ, as it is FINALLY release day! 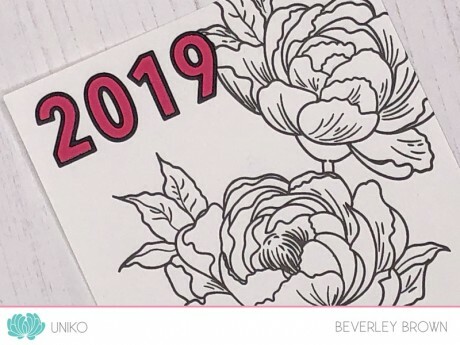 All the products and sneak peeks at brand spanking NEW products are now available HERE to purchase. 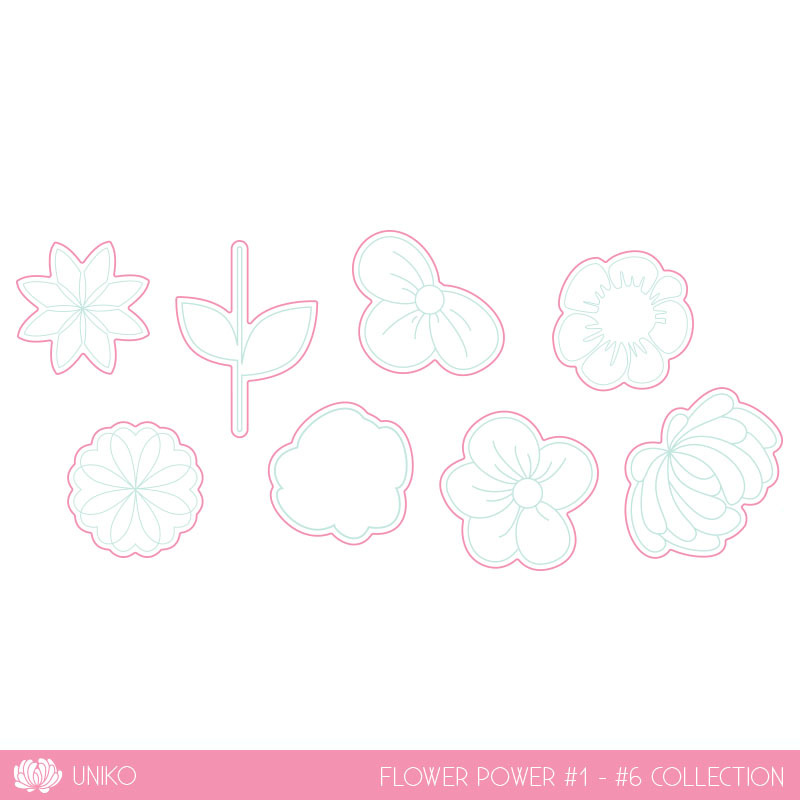 Hopefully you have hopped over from the Uniko Blogspot blog HERE, where I have formally introduced all NINE new products lining the shelves! 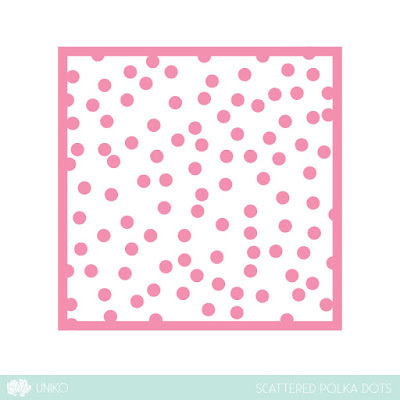 We have 5 new clear stamp sets, 2 new Designer Dies AND 2 NEW Uniko Stencil Designs!! 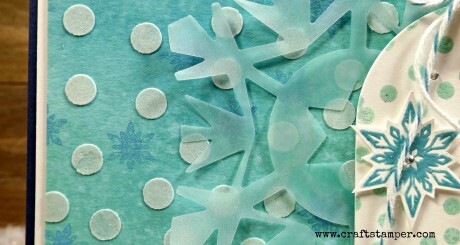 First up is this wintery snowflake window card. 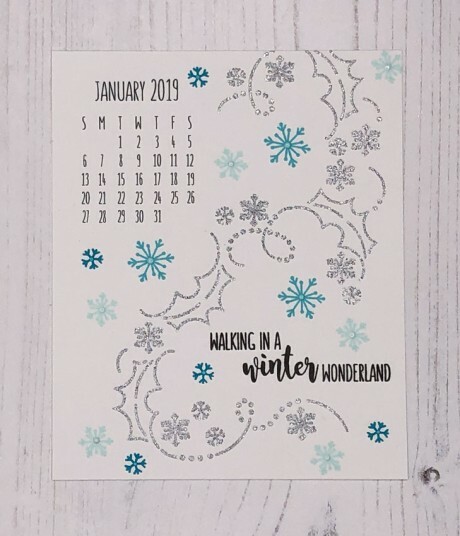 I’ve used Background Blocks Falling Snowflakes, stamped in VersaMark and heat embossed in white behind a window die cut using a tag shaped die. 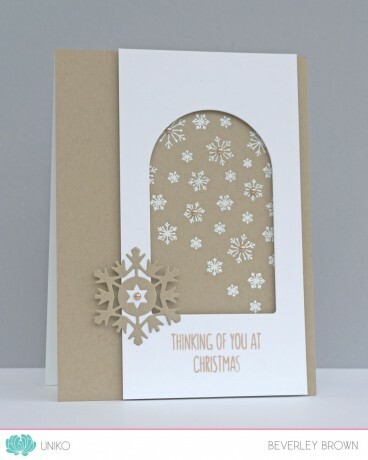 I’ve then added a sentiment from Festive Sentiments and embellished the design with the small Designer Die Snowflake. 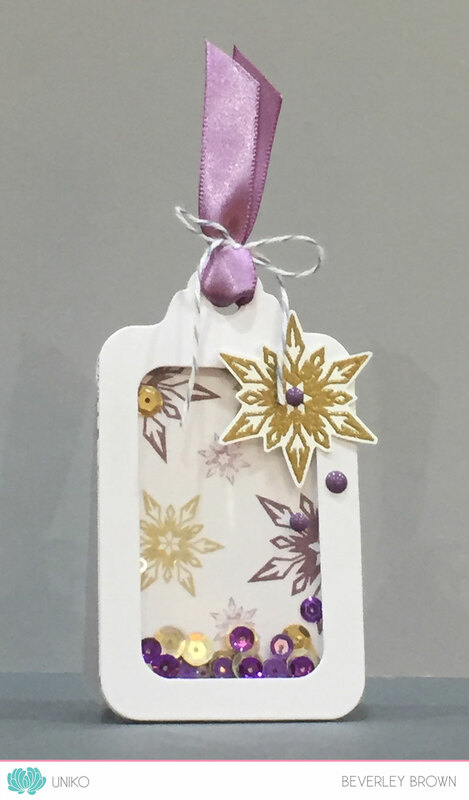 My next are samples I created whilst demoing at Stamp Magic yesterday. 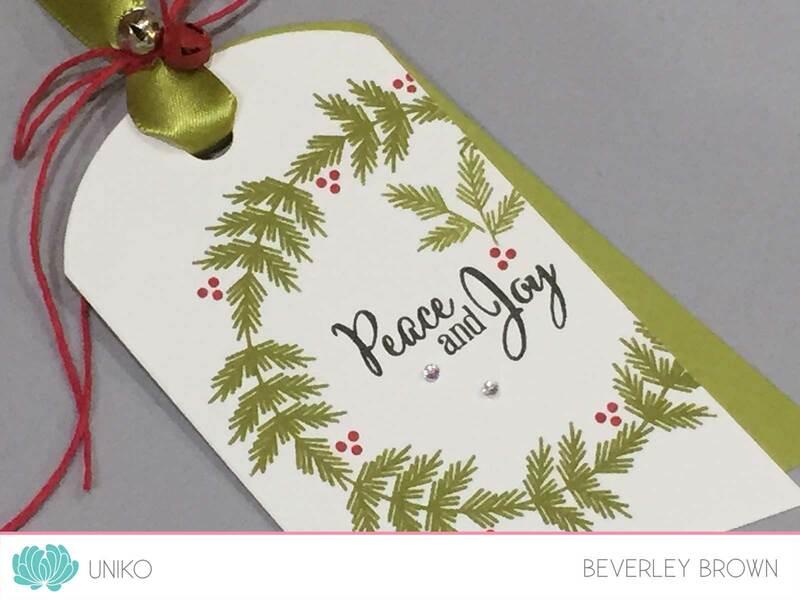 I couldn’t resist giving the NEW Uniko Stencils a whirl with my recently purchased and growing collection of Distress Oxide Inks and then doing some simple stamping using Block Party Christmas and Organic Wishes. 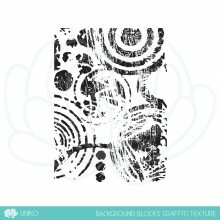 Here I have used Spiced Marmalade, Peacock Feathers and Picked Raspberry to blend together using a ‘pouncing’ motion with my ink blending tool over the Wonky Stripes Stencil. I have then stamped the heart ended seed heads, double stem and sentiment from Organic Wishes. 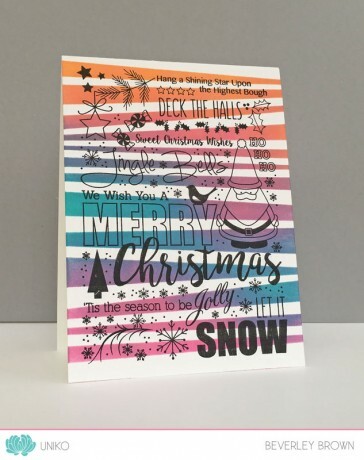 While I was using the Wonky Stripes Stencil I sent ahead and created another panel using the same colours. 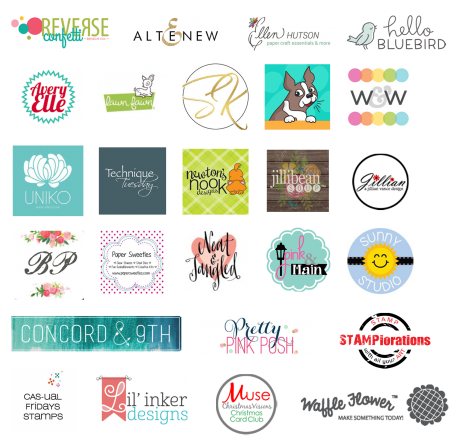 This time I decided to over stamp Block Party Christmas. 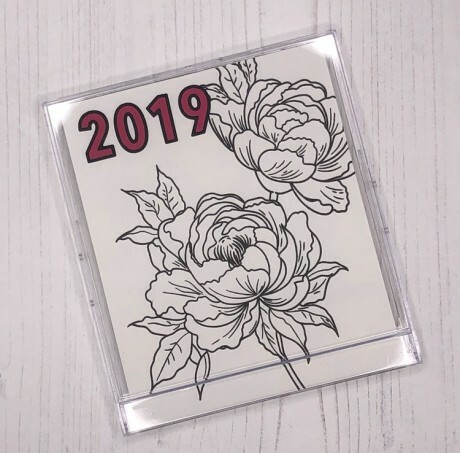 It is a really fun and unique way of adding colour and interest to these subway art style stamps! Plus each time you blend the colours you can achieve a different colour way, blend mix and look of the stencil design. 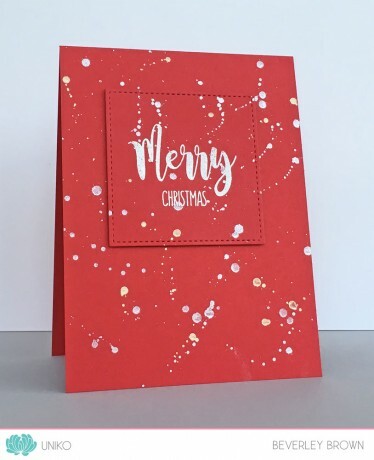 Lastly I decided to give some more love to the Scattered Polka Dots Stencil and again paired it with Block Party Christmas. 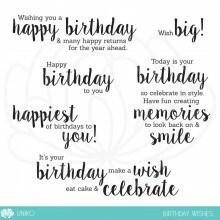 Hopefully I have inspired you a little more using the new products available today, but I know that the Design Team have some fabulous inspiration too, so be sure to hop along the links below and to comment along the hop for your chance to win the ENTIRE October 2017 Release!! You have until Midnight (BST) Monday 23rd October to comment and the winner will be announced Tuesday 24th October. 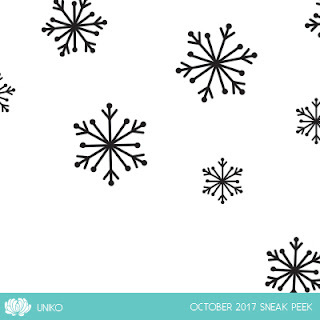 Welcome back to day 2 of the October 2017 Sneak Peeks and thank you to all that left such lovely comments on yesterday’s peek HERE. 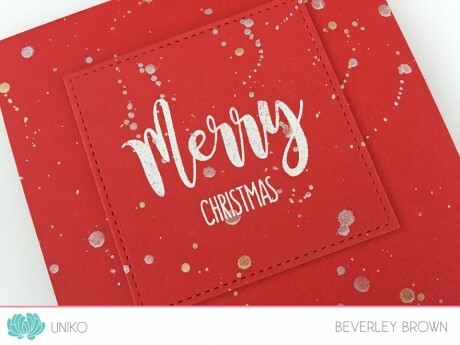 First up is a festive sentiment clear stamp set, which is sure to be a ‘go to’ set for all your Christmas and Holiday projects. That’s all I have to share with you today, but I will be back tomorrow with more! Sneak Peeks 7th – 10th October, these little teasers give you hints at what is in store. Thank you for stopping by today and I’d LOVE to hear your initial thoughts on the Sneak Peeks!